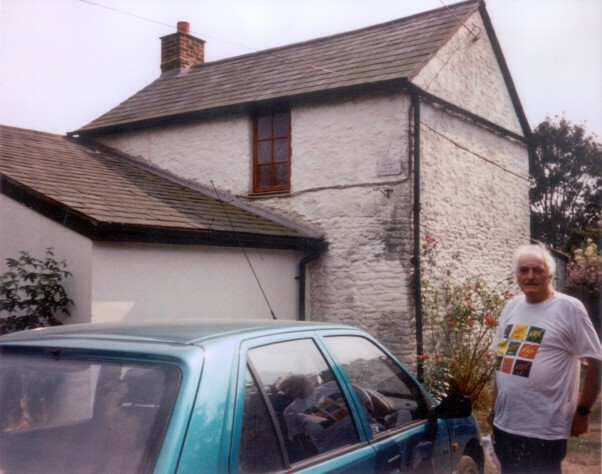 Bernard John Lane, nephew of Flora, at Juniper Hill c.1999. 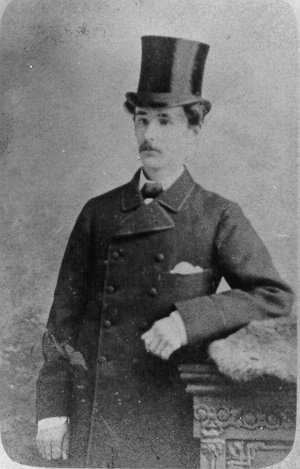 He was the son of May Timms. 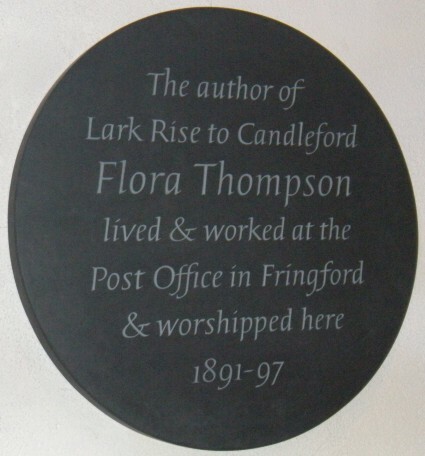 Close-up of the plaque on Flora's house in Juniper Hill. Photo on the right is her employer, the tragic Walter Chapman, given by his great-niece. 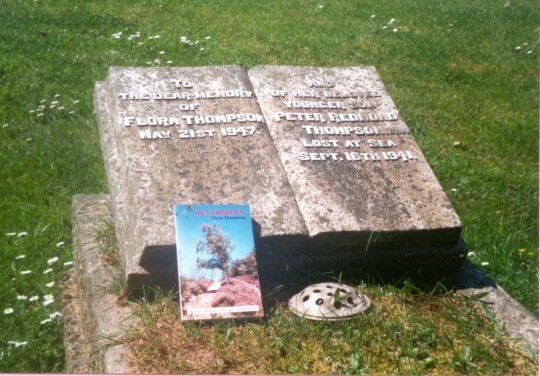 Flora writes about this time of her life in Heatherley. 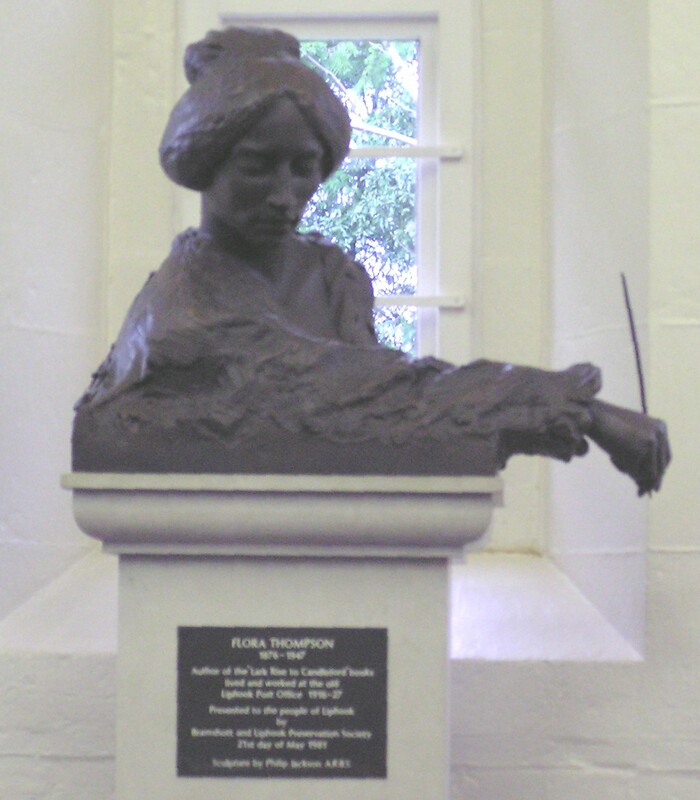 She left Grayshott, married another post office worker, John Thompson, and they lived in Bournemouth until 1916, when he was promoted to Liphook  only a few miles away from Grayshott. 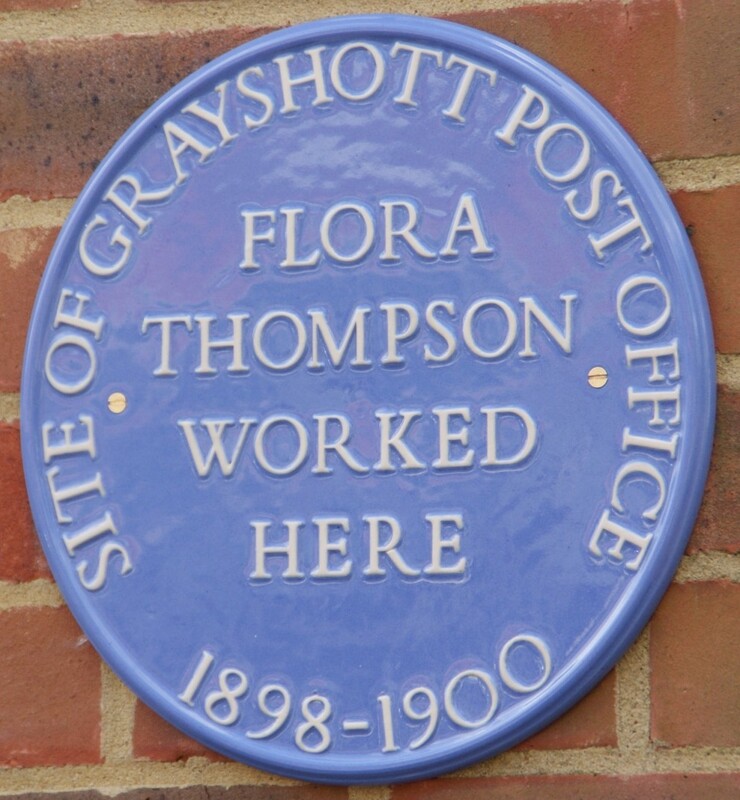 Close-up of the blue plaque placed on Amity, site of Flora's post office in Grayshott, in May 2009. 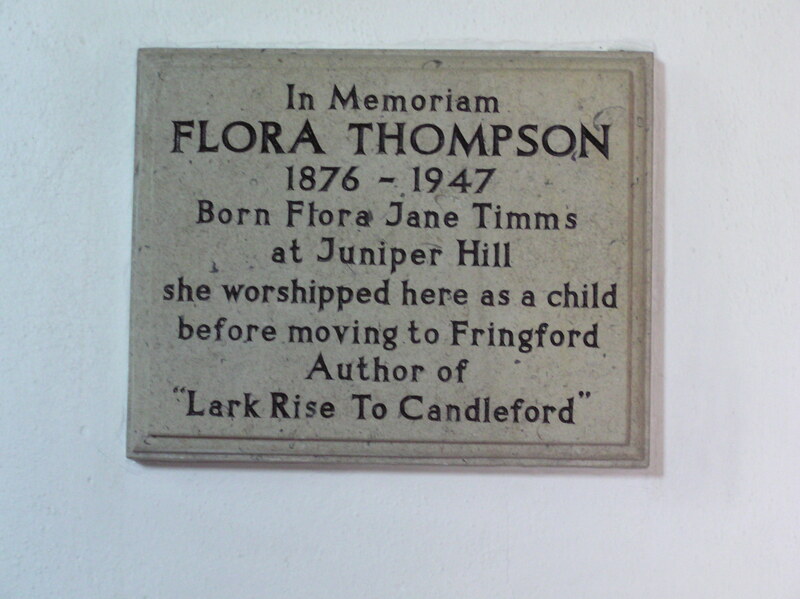 After she found living with the Chapmans in Grayshott post office intolerable, Flora found herself lodgings elsewhere. From details in the 1901 census, although Flora herself was not there then, we believe that this was at The Ferns in The Avenue, Grayshott. 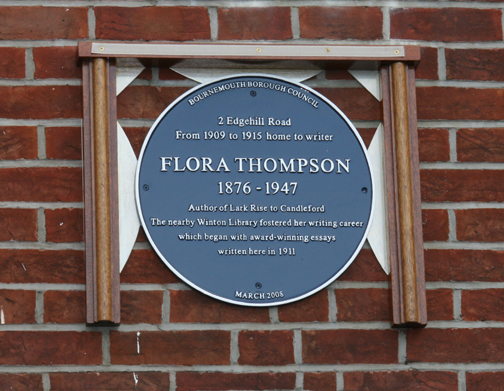 At the time Flora resided there, there was no building attached to the right, and her room (first floor on the right) would have been double-aspect with the possibility, as she implies, of views to the South Downs. Today, what is believed to be the original fireplace where she would have 'destroyed her own scraps of writing' still exists in the room. 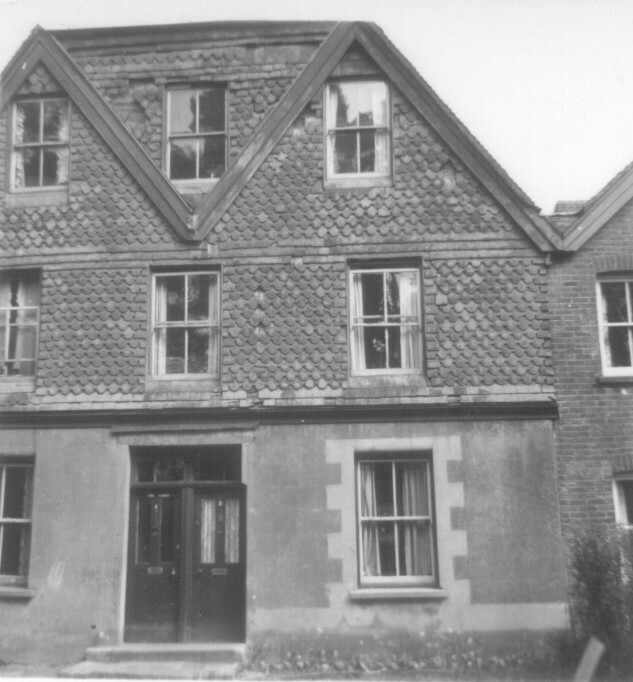 This picture of The Ferns was taken in the 1960s when the house had been split into two accommodations each with a separate front door. 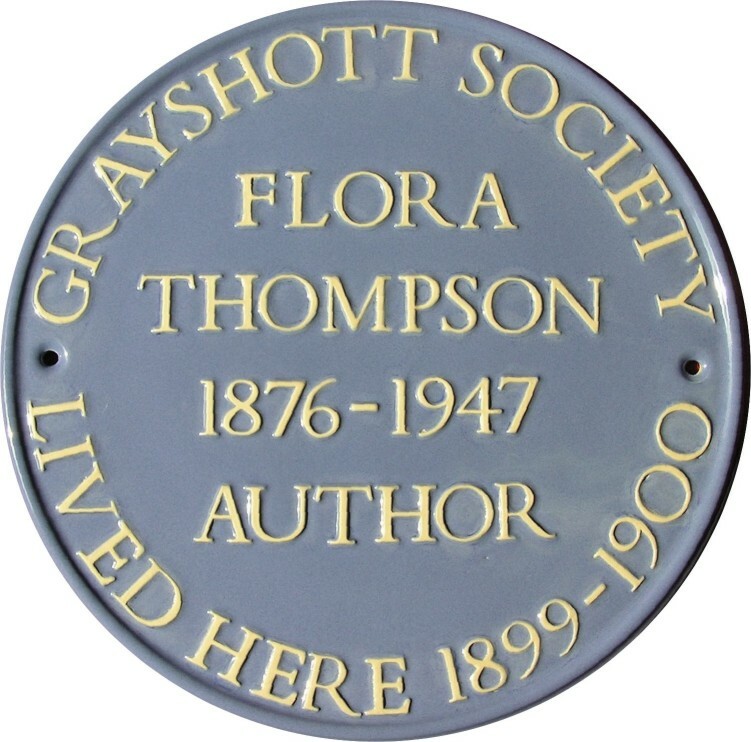 Close-up of the blue plaque placed on The Ferns in Grayshott in May 2007. Plaque on 2 Edgehill Road, Winton, Bournemouth just after being unveiled on 9th April 2008 by Olivia Hallinan ('Laura' in the BBC production of Lark Rise to Candleford). 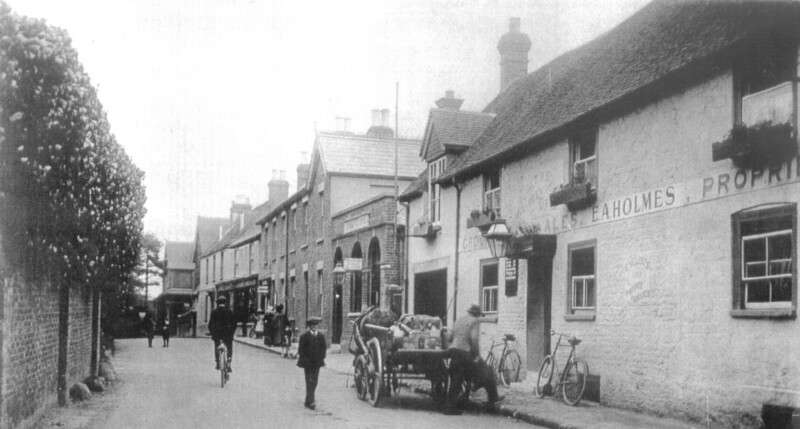 The Thompsons lived in the building on the left until 1927 (see plaque below) when they moved to Woolmer Gate. 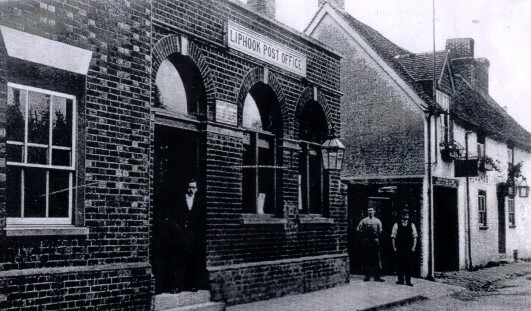 Another view of Liphook Post Office from the opposite direction, c.1910. 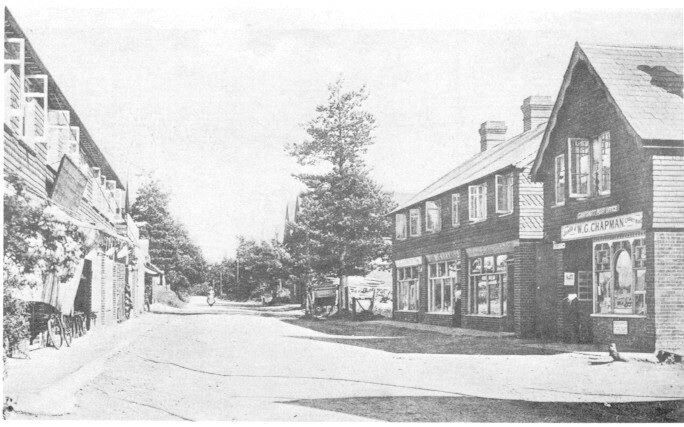 'Woolmer Gate' in Griggs Green, just outside Liphook, was new when the Thompson's bought it in 1926. 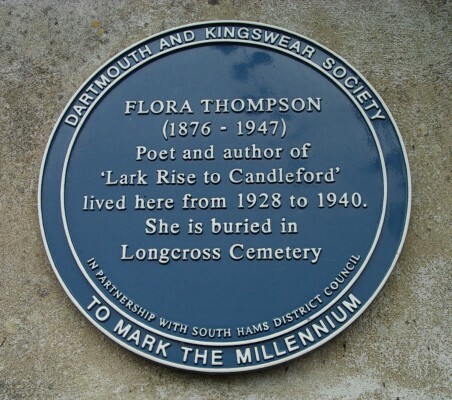 But, much as Flora loved it here, they stayed for less than two years  John went for promotion again, and they left for Dartmouth in 1928. 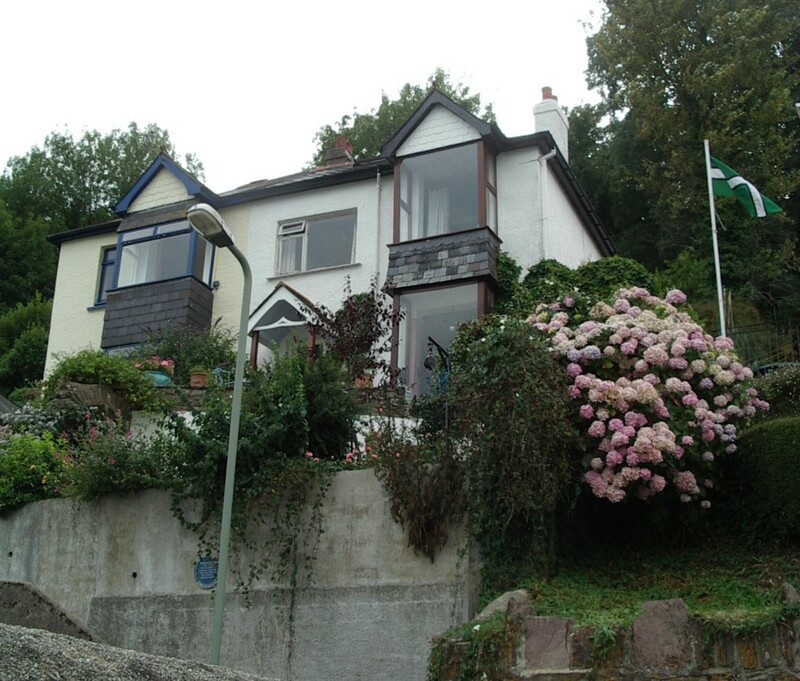 The house in Above Town, Dartmouth where the Thompsons moved in 1928. 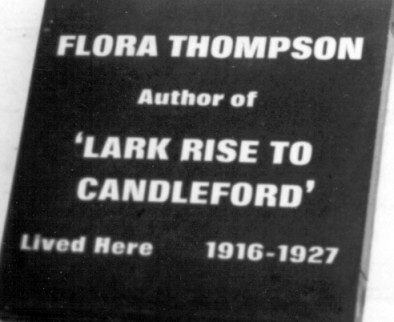 It was from here that she submitted 'Lark Rise' to Oxford University Press in 1938. 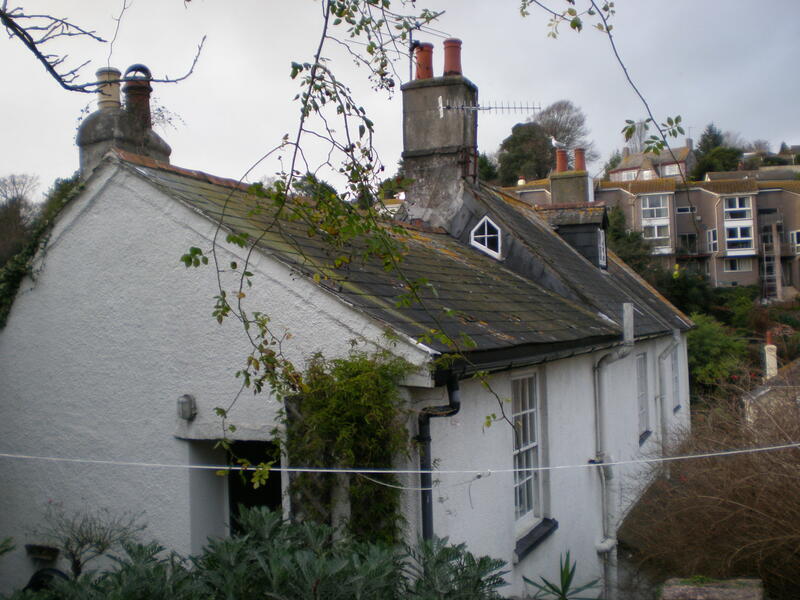 They lived here until John retired from the post office in 1940, when they moved to Brixham, where she died on 21st May 1947. 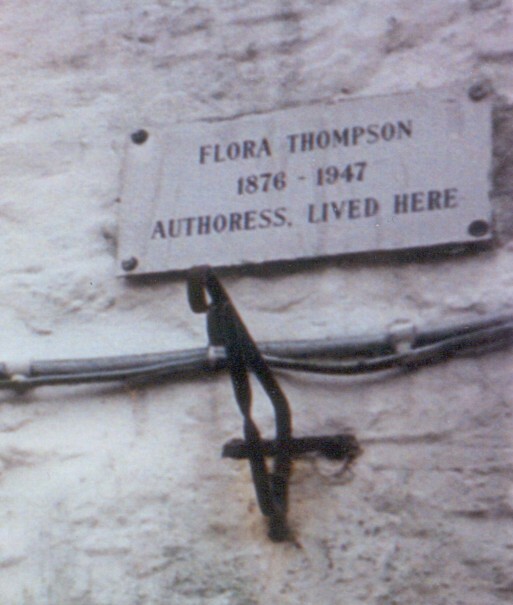 Close-up of the blue plaque at the house in Dartmouth. 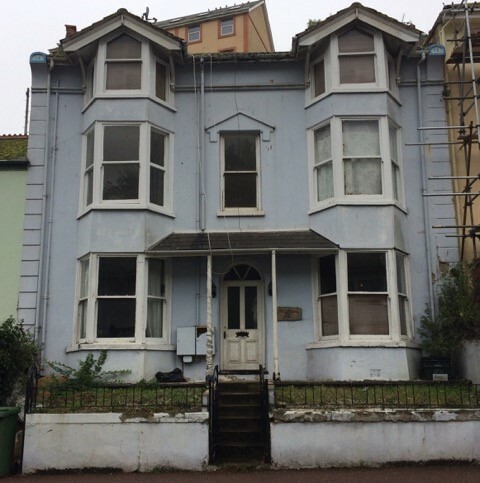 32 Bolton St, Brixham  bought by her, probably as an investment. 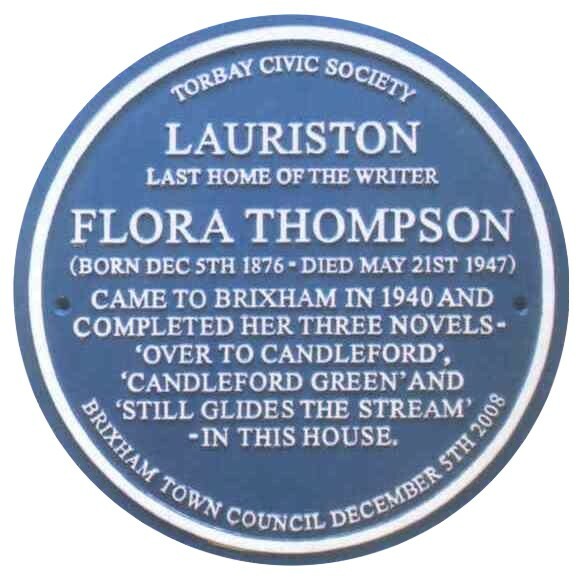 Lauriston, Brixham where Flora died 21st May 1947. 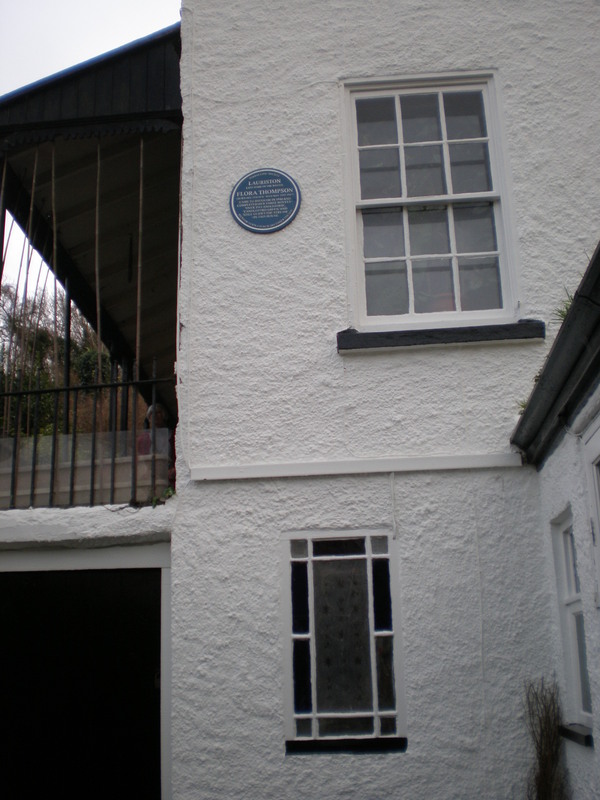 Blue plaque unveiled at Lauriston, Brixham on 5th December 2008.